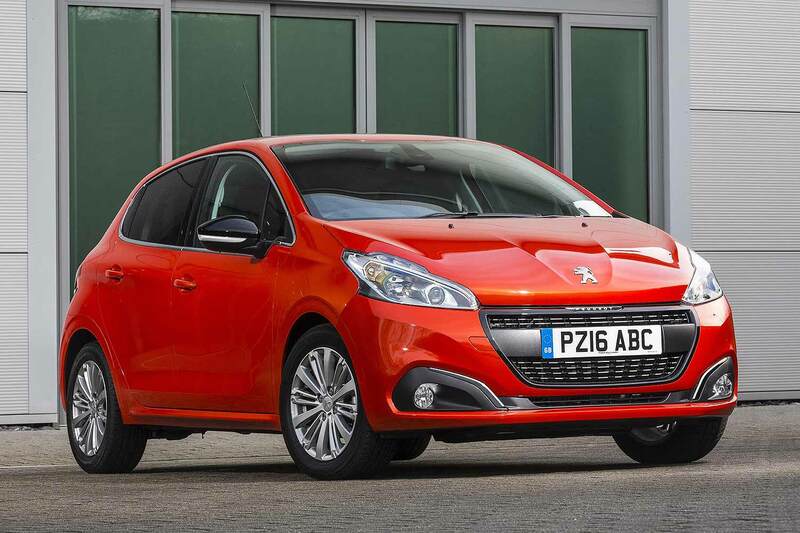 PSA Peugeot Citroen has revealed the exact methods it uses to calculate real-world fuel economy figures across its range. The company announced real-world figures for 30 cars across its range earlier in the year, and has said it plans to reveal 20 more by the end of the year. It’s part of a move to appear more transparent, with PSA being one of a number of manufacturers blaming the official NEDC fuel economy test for generating unachievable MPG figures. Why is the official NEDC test to blame for unachievable fuel economy figures? The New European Driving Cycle (NEDC) fuel economy test is used to calculate official MPG and CO2 figures for all new cars on sale in Europe. The test is split into two sections: urban and extra-urban cycles. The first test, the urban cycle, covers a stop/start journey of 2.5 miles at an average speed of 12mph, intended to be representative of driving through a congested town or city. The car starts off cold and touches a maximum top speed of 31mph. After this test, the now warmed-up car is put through the extra-urban cycle. This covers a distance of 4.3 miles at an average speed of 39mph. The CO2 and fuel economy results for each cycle are then combined to provide the official CO2 and fuel economy figures quoted by manufacturers. 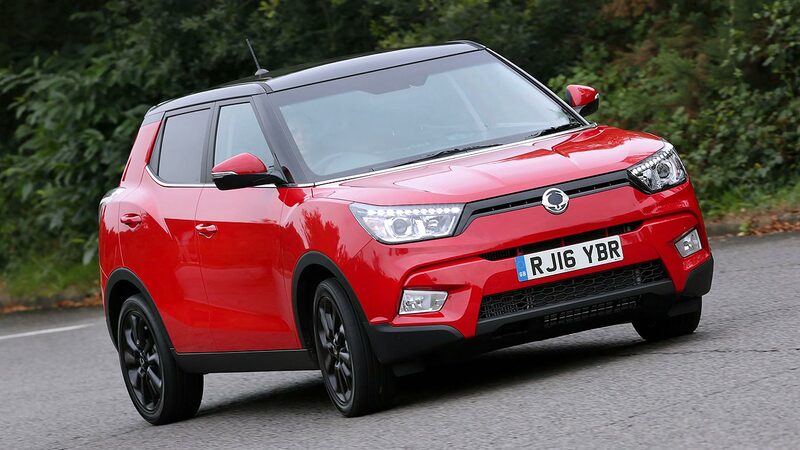 However, the official test has been criticised by consumers and car manufacturers alike. Carried out on a rolling road, it’s not influenced by real-life conditions such as other traffic, weather conditions and driving styles. Developed before hybrid and electric vehicles were commonplace, it also produces extremely unrealistic fuel economy and CO2 figures for cars such as the Mitsubishi Outlander PHEV. As the test takes place when the plug-in hybrid Outlander is freshly charged, it covers most of it under electric power, hence the Outlander’s official 156.9mpg. When the Outlander’s short electric-only range runs out, its real-life fuel economy will be much lower than this figure. So what’s Peugeot Citroen doing about it? 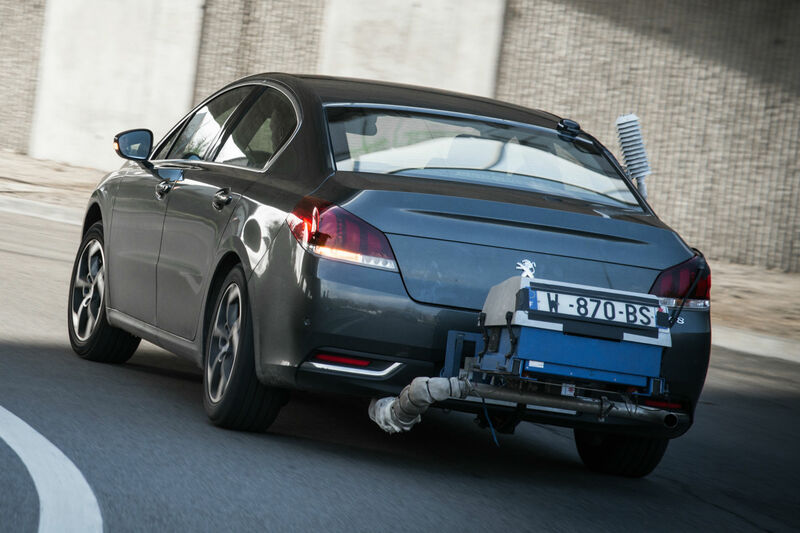 PSA Peugeot Citroen has announced that, along with the official NEDC tests (a European requirement), it will conduct real-world fuel economy tests across its range, and publish its findings. 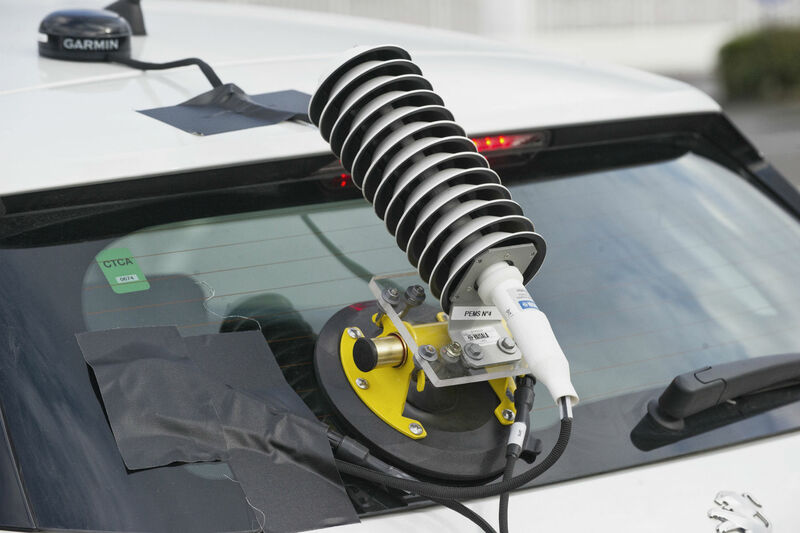 To carry out the tests, the car manufacturer is working with environmental organisation Transport & Environment. It tests cars in real-world conditions, stipulating that ambient temperatures must be ‘normal’ (not too hot or too cold), while a set route should be followed. During the test, 22.8km (14.2 miles and 24.7% of the total distance) must take place in urban areas; 39.6km (24.6 miles and 42.9% of the total distance) on rural roads; and 29.9km (18.6 miles and 32.4% of the total distance) on motorways. 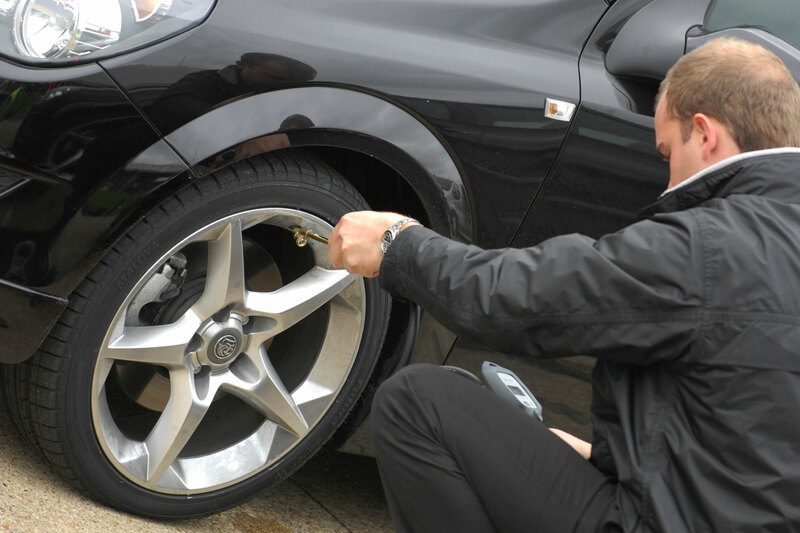 Tyres must be inflated to ‘normal’ pressures and the driver should ideally not be a trained driver. The car should be driven exactly as a customer would, with all speed limits adhered to and typical acceleration for the type of car. The test also requires at least one passenger being carried in the car, with the climate control being set to 21°C. Transport & Environment’s clean vehicles director, Greg Archer, said: “The real-world test developed with PSA Group provides full transparency towards customers and more representative information to drivers than the new laboratory test, helping them choose the most fuel-efficient cars. This scientific approach is robust, reproducible and reliable in measuring real carbon emissions. “We urge the European Commission and all carmakers to use this test for regulatory and advertising purposes,” he added. What are the results of PSA’s real world tests? 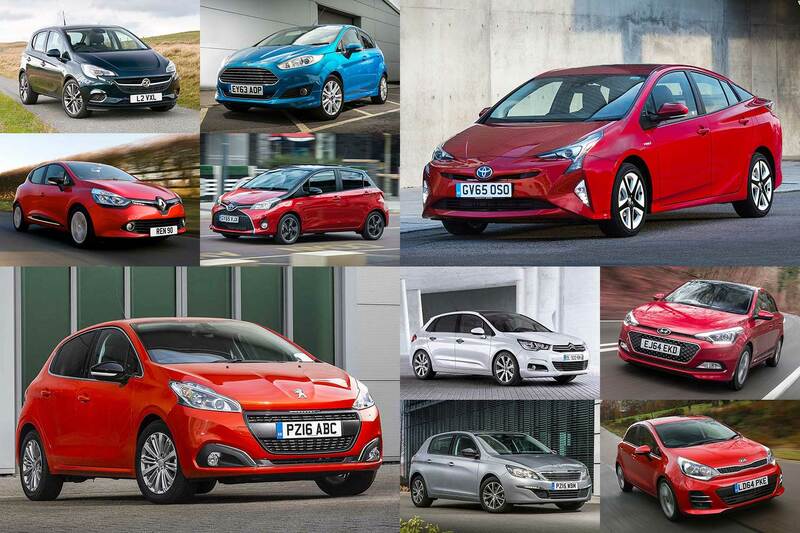 So far, 30 Peugeot Citroen models have completed the test, with most averaging around 20mpg below the official NEDC figure. Here’s an example of models tested, with another 20 set to be announced before the end of 2016. Since the Volkswagen emissions scandal, the spotlight has been focused on the real world emissions of cars, rather than those produced in a lab. As Volkswagen proved, you can post exceptional results under test conditions, only for the reality to be very different indeed. The British company’s number-crunching has created two figures: an indication the actual real-world CO2 for all cars on sale, plus a ‘variance factor’ that reveals by how much the real world varies from the official figure. Call this an ‘honesty rating’: 1 is most honest, 5 is least honest. First, to the car brands that produce the most CO2 in the real world, as opposed to a sterile and fully-controlled test bench. These makes of car are, simply put, the very biggest emitters of CO2. They’re the global warming anti-heroes. Surprisingly, for all its TDI diesel engines and e-tron plug-in hybrids, it’s Audi that has the 10th highest real-world CO2 figure. 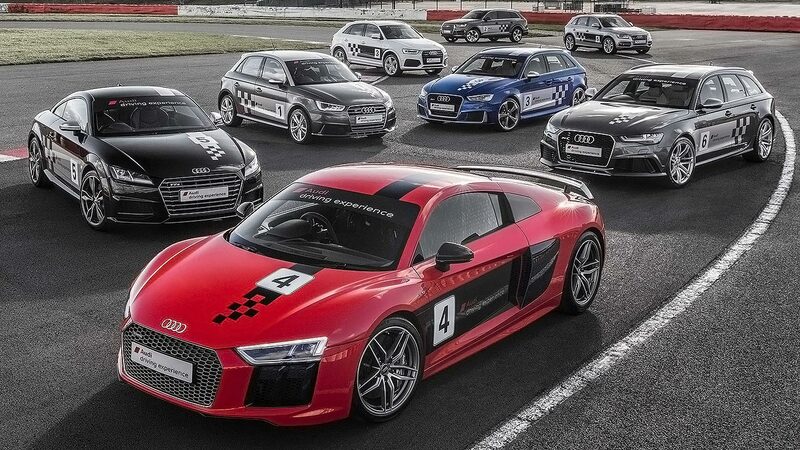 Blame all those big Q5s and Q7s, plus the R8 supercar? Well, yes, but also blame an EQUA variance factor ‘honesty rating’ of 2.7 over what its official NEDC figures state and how the cars perform in real life. Remember, 1 is most honest and 5 is least honest. Jeep is an SUV manufacturer. It makes big, thirsty 4x4s. So it’s perhaps no surprise to see it appear in the CO2 emissions bad books. 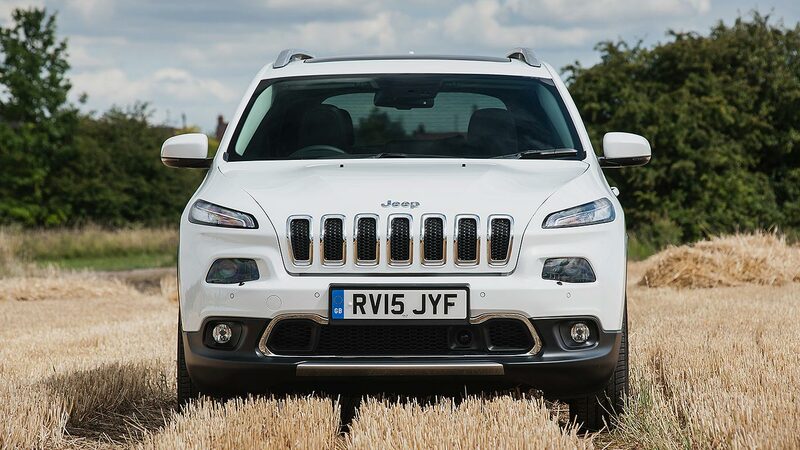 It’s not all bad news though: when Jeep says it’s bad in official figures, the real-world figures at least prove it’s being honest – its variance factor is just 1.1, compared to Audi’s 2.7. 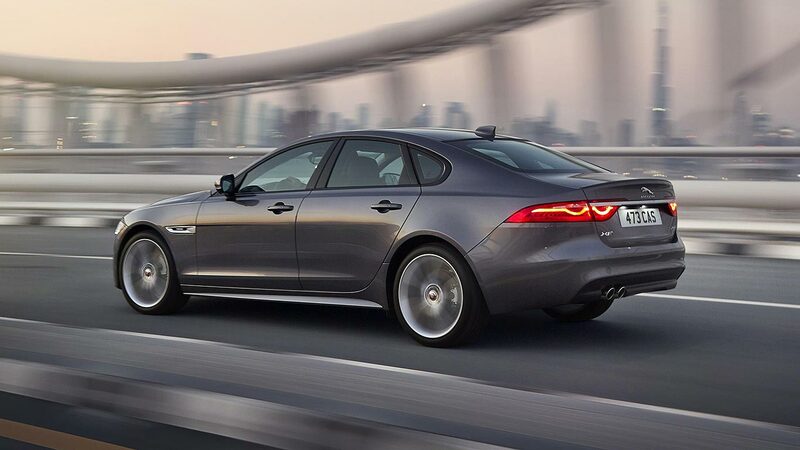 Jaguar’s cars are sporty and premium. The XE has yet to have a big impact on the range, so its overall brand CO2 is driven up by the XF, the F-Type, the XJ. CO2 emissions that vary by 2.5 times over official figures aren’t so clever either, though. Jaguar produces less CO2 than Lexus? 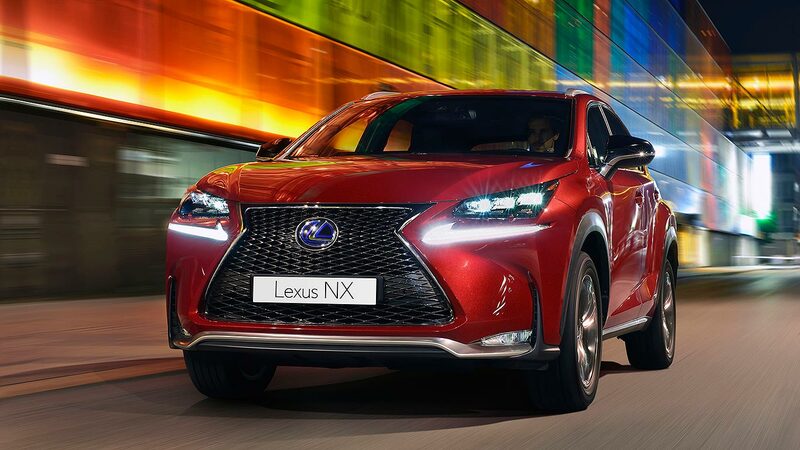 Hang on a minute, surely that’s not right – Lexus is the brand of the hybrid, after all? Well, yes, but it’s also a brand that sells a lot of RX SUVs. A lower variance factor of 1.9 isn’t enough to offset that – oh, and the fact it doesn’t sell CO2-cutting diesels, either. 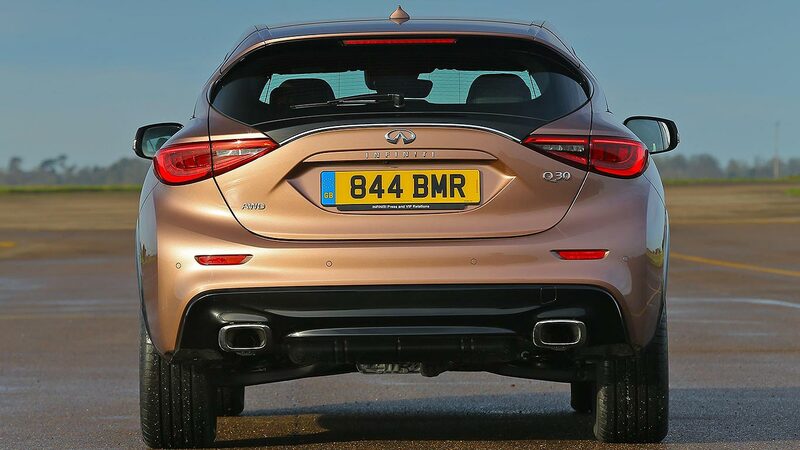 This is a poor result for Infiniti. According to Emissions Analytics, its quoted CO2 figures underplay the real-world CO2 of its cars by an ‘honesty factor’ of 3.6. The everyday CO2 of its cars is a stonking 213g/km, meaning it puts out more carbon dioxide as a brand than 4×4 specialist Jeep. We thought this brand was meant to be the smart-thinker’s alternative? 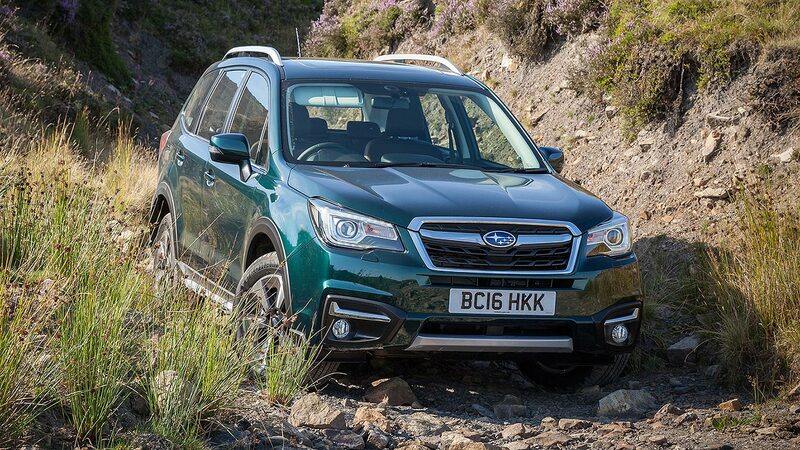 Subaru’s turbo boxer engines sound good in the real world, but you’re best listening to them from a safe distance: their actual CO2 emissions are much higher than the claimed figures. Like Jeep, Land Rover only makes SUVs. 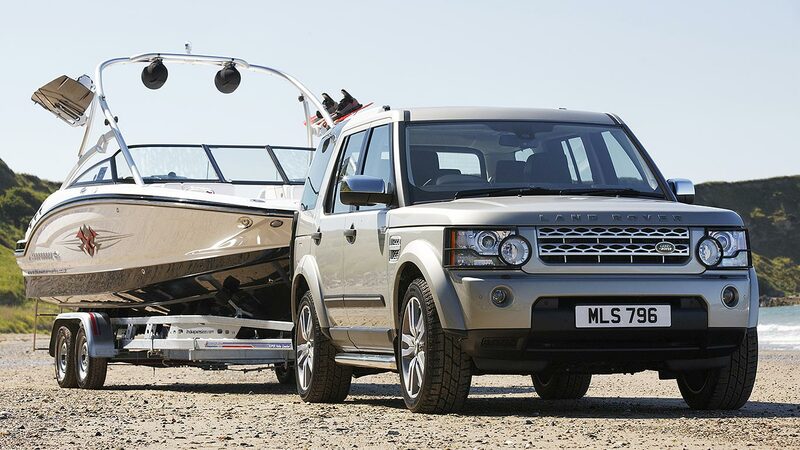 Big, posh, heavy SUVs, like the Range Rover and Discovery. The Evoque has helped bring down its range-average CO2 figures, but a variance factor of 2.6 pushes it back up again: bronze medal in the list of manufacturers with the highest real-world CO2. 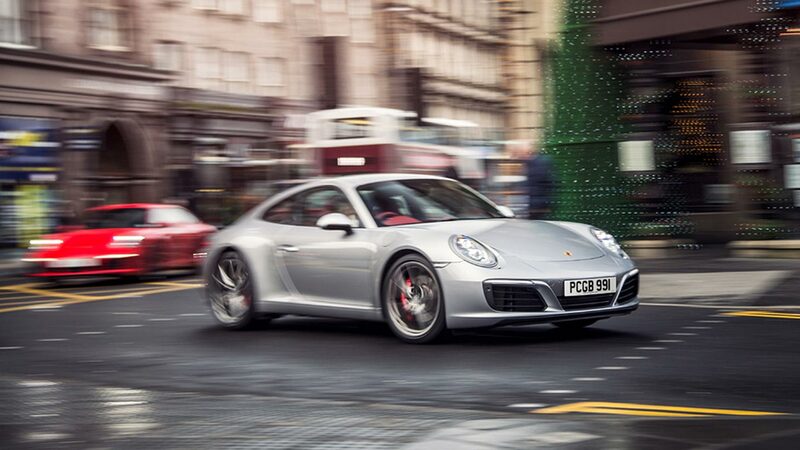 Porsche’s sports cars are naturally rather thirsty, and so naturally put out a lot of CO2. 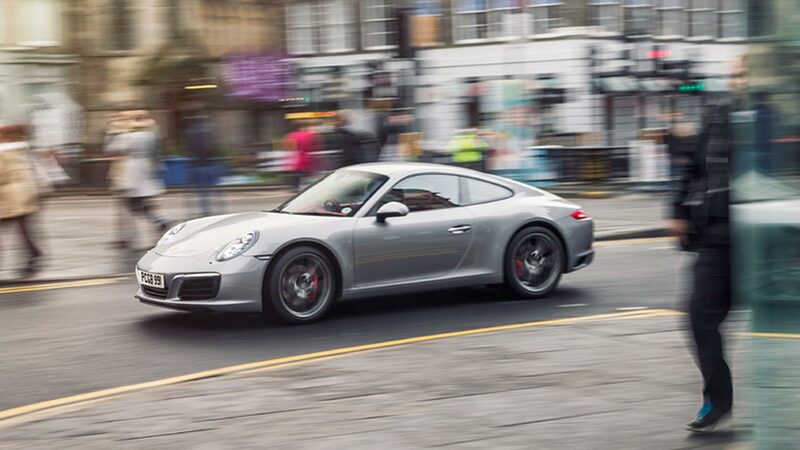 Even the slowest, cheapest 911 does 0-62mph in 4.6 seconds – you don’t get such performance without using a bit more fuel than average. Its range CO2 figures are pushed up further in the real world due to a variance factor of 2.0 over what it claims, too. It’s perhaps no surprise to find a supercar manufacturer tops the list of the brands with the highest real-world CO2. 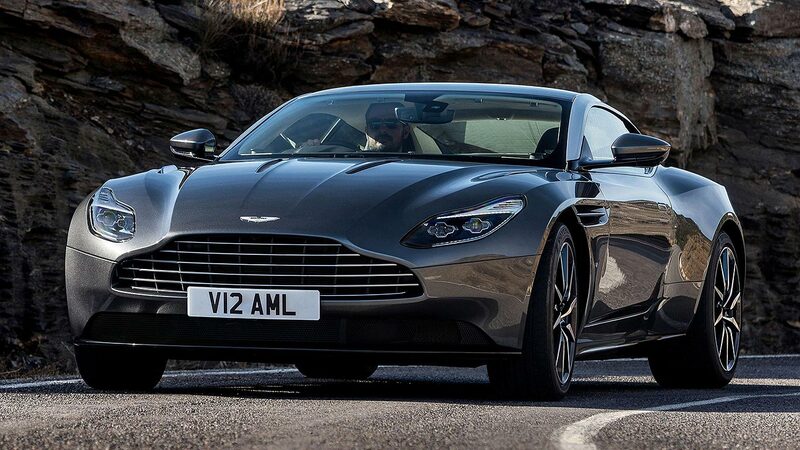 Aston Martin’s cars all have V8s and V12s, after all. What’s positive for the brand is that its variance factor is a mere 1.0 – it says it’s bad, but it’s very honest when it says this, too. Car manufacturers blame the flawed NEDC test. Campaign groups say there’s something fishy going on. Experts say brands have simply learnt how to best perfect cars to do well in the very-limited-scope official emissions test, without resorting to cheating. Whatever the reason, there’s no denying the real-world results are often very different to what’s officially claimed in the legislated CO2 figures. And here are the worst offenders – the brands with the worst ‘honesty ratings’. 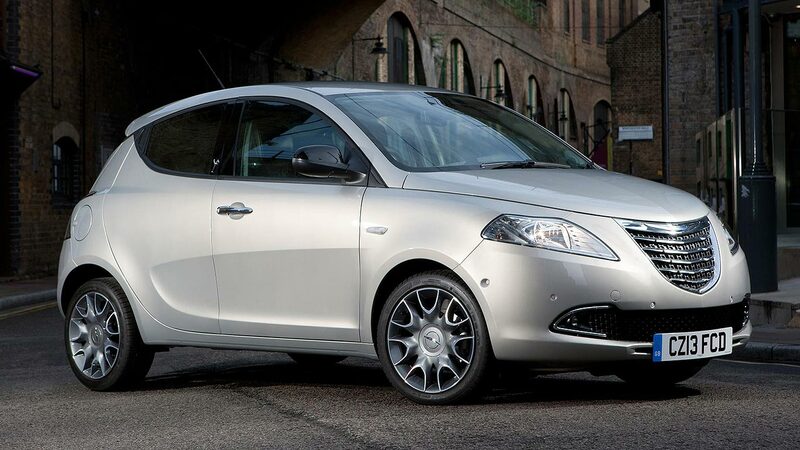 American brand Chrysler benefits from being part of Fiat, which includes sharing Fiat engines. Which, according to Emissions Analytics, aren’t quite as green in real life as the test figures claim. Another reason for the brand being withdrawn from the UK? Peugeot’s real-world CO2 figures also vary over claimed statistics by a hefty factor of 3.1. And this, from a brand that’s committed to releasing real-world economy statistics for its cars. How long before customers force it to cut down this yawning variance? 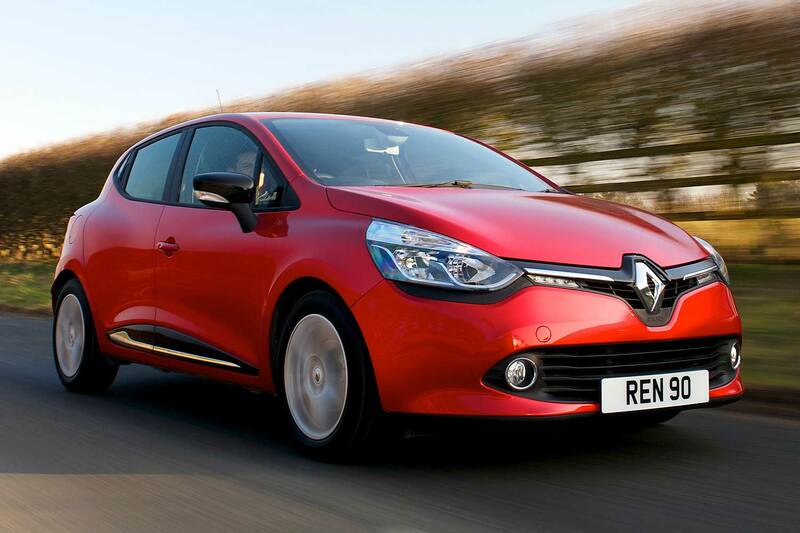 Renault’s HQ was raided by investigators looking into evidence of emissions test skulduggery. We’ve heard nothing since so clearly there’s nothing to report – but news of a real-world variance factor of 3.1 over claimed figures should still provide food for thought. Volvo prides itself on being a safe, upstanding brand, and part of this sensible-shoes image is serving up great MPG and low CO2 figures. This image takes a bit of a dent, though, as Emissions Analytics finds an honesty rating of 3.2 over what it says and what real-world figures say. 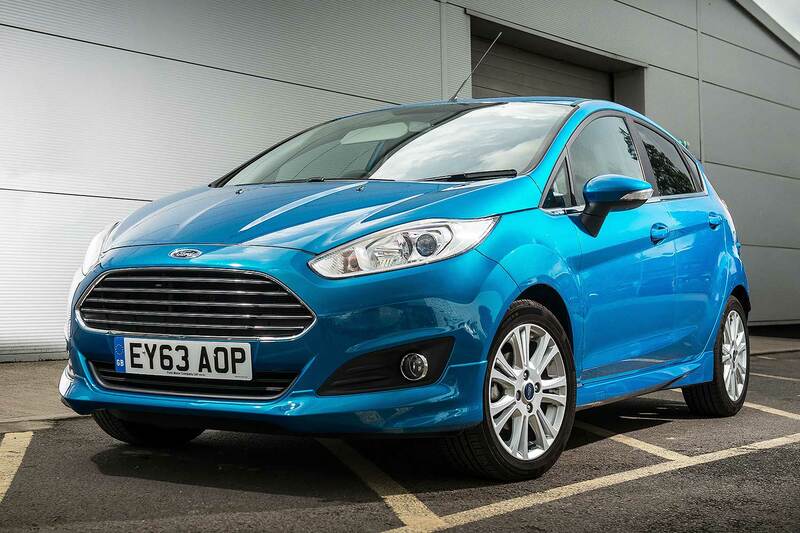 This is a significant result, because Ford is Britain’s best-selling car brand. 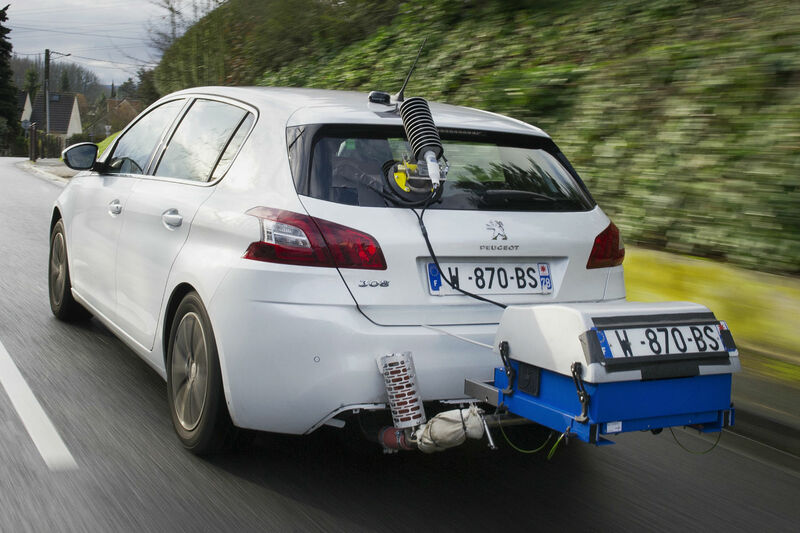 According to Emissions Analytics, its CO2 figures have a variance factor ‘honesty rating’ of 3.4 compared to the official claimed NEDC figures, indicating that in the real world, its cars are not very likely to get close to the official stats. 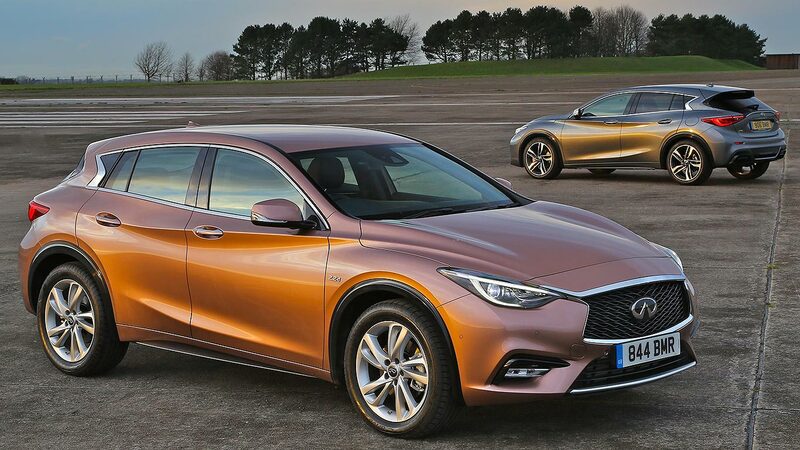 Remember, Infiniti emits one of the highest amounts of CO2: a variance factor of 3.6 suggests it’s less honest in the real world than the figures say it is. It’s not an enviable position for the premium challenger to be. 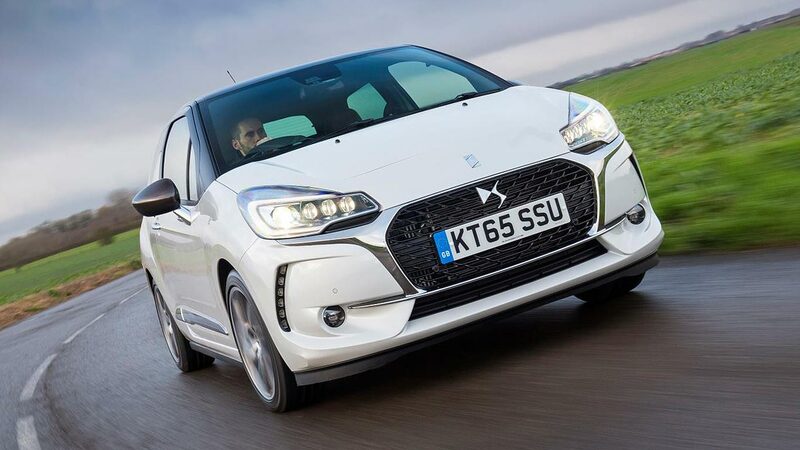 The second-worst car brand for real-world CO2 diverging from the official figures is posh Citroen sister company DS. 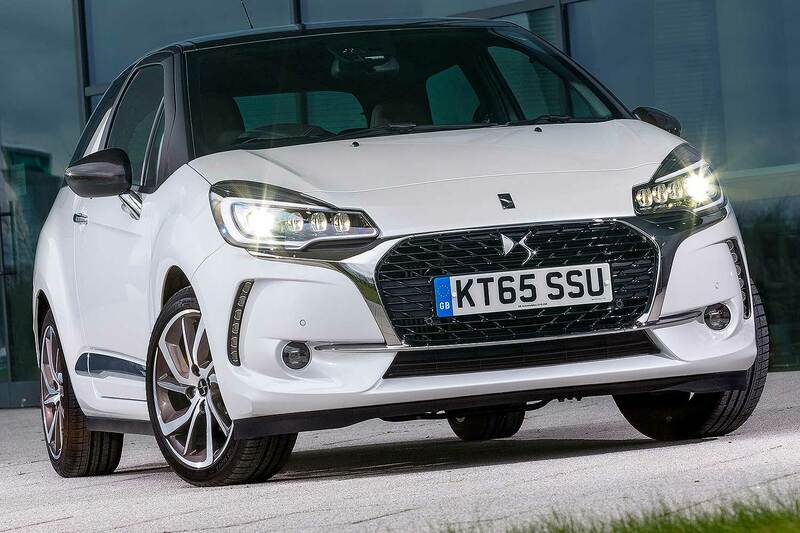 As Citroen itself isn’t among the bottom 10 (indeed, the C3 diesel is the only car to achieve the best-possible A1 rating), we’re not quite sure why this is so – perhaps the diesel-hybrid DS 5 is having an effect? Whatever the cause, it’s worth bearing in mind if you’re buying a DS with low CO2 in mind. The least honest brand for real-world CO2 figures? 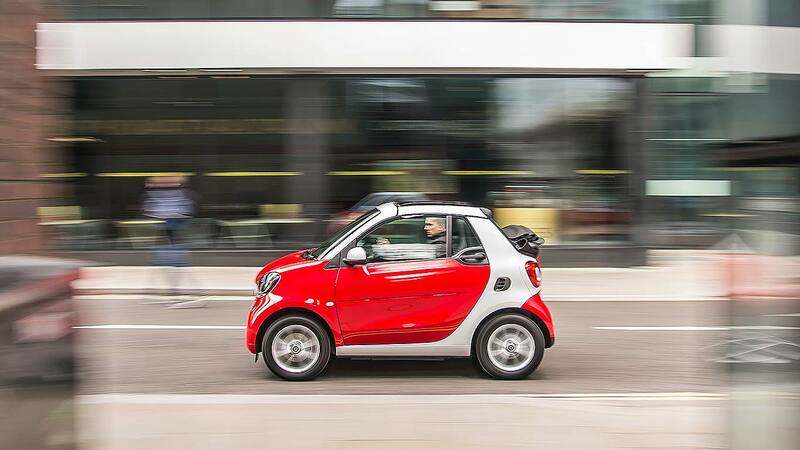 Surprisingly, it’s Smart – makers of the urban-hero Fortwo city car. Smart’s real-world CO2 is the furthest from the official rating of any manufacturer on sale, by the maximum-possible variance factor ‘honesty rating’ of 5.0, which means its real-world fuel economy is likely to be least like the glowing official stats as well. You may think you’re doing your bit for global warming by choosing a Smart, but the planet in reality might not thank you. 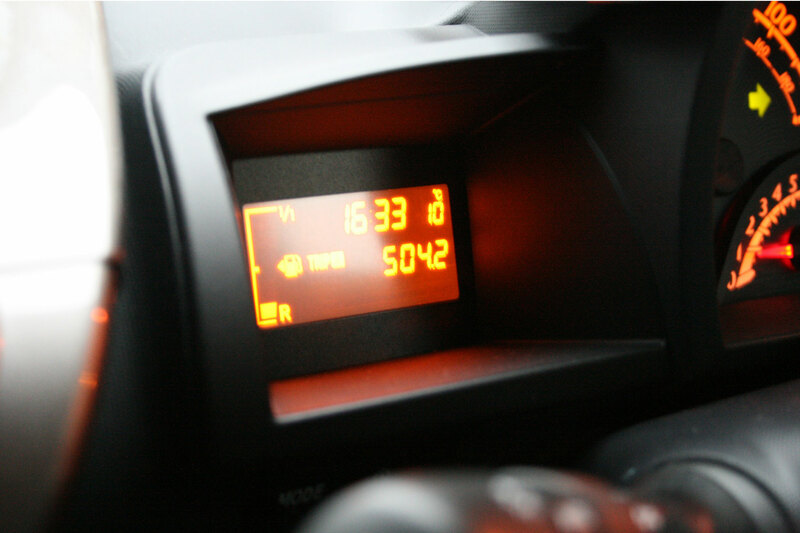 There are a number of ways you could reduce your monthly fuel bill. Buying an electric or hybrid car is one option, but the purchase cost could make this a false economy. Alternatively, you could lock the car in the garage and walk everywhere. If those options seem a bit drastic, fear not, because we’ve assembled a list of top tips guaranteed to save you money. Stick to speed limits and not only will you avoid a run-in with the law, you’ll also be shaving pounds off your fuel bill. Figures from the Department for Transport suggest that driving at a steady 50mph instead of 70mph can improve fuel economy by as much as 25%. Your granny’s point about a fast driver not arriving any quicker might be a little wide of the mark, but speeding is a false economy. Many drivers cruise at 80mph on a motorway, but did you know you’ll use 10% more fuel than you would at 70mph? Shopping around for cheaper fuel might save you a few pennies on a litre of diesel or unleaded. Over the course of a month, these pennies will add up to a significant saving. PetrolPrices.com gathers data from around 8,500 petrol stations across the UK to provide average, mininum and maximum prices for unleaded, diesel, super unleaded, premium diesel and LPG. 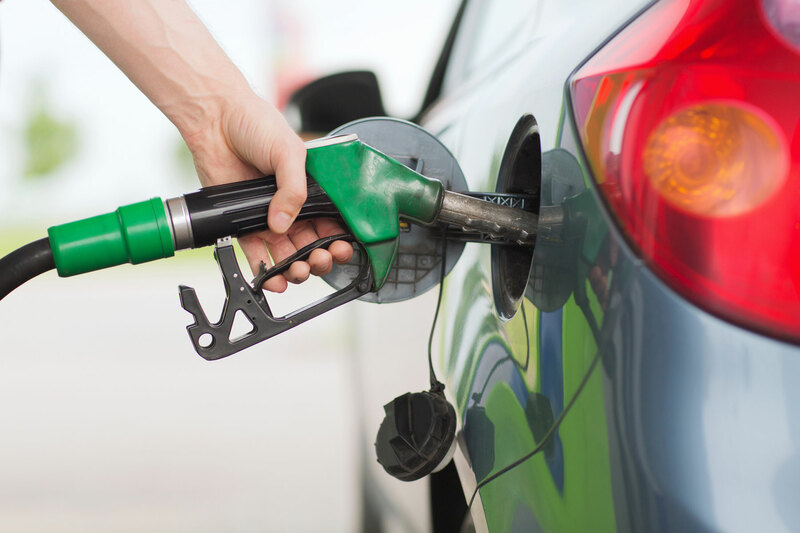 While we wouldn’t necessarily recommend going out of your way to save a penny per litre, a little forward planning can make a big difference, especially if you’re planning a long trip. Website figures suggest the difference could be as much as 15p per litre. On a 50-litre tank, that’s a saving of £7.50. 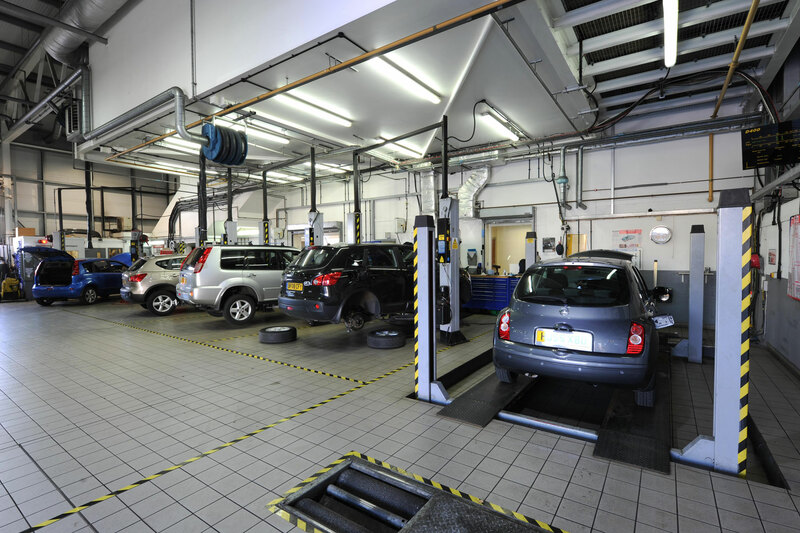 Getting your car serviced in accordance with the manufacturer’s schedule will ensure it is running at optimum efficiency. Not only is this better for the environment, but it’s also better for your wallet, because a well-maintained car will consume less fuel. Crucially, by sticking to the recommended service intervals, you’ll be able to spot potential problems sooner, which could save you even more money in the long run. Consult your vehicle’s handbook to find out when your car is next due a service. Today’s sat nav systems are able to plan the most efficient route to your destination, but even if you’re still relying on a traditional map, a little planning can make all the difference. Ask yourself: do you really have to drive in the rush hour? Stop-start traffic will result in your car consuming more fuel, as the car is working harder to get moving again. Similarly, leave home with time to spare, as rushing to your destination will use more fuel. Look at the week ahead – could you combine two journeys into one? Are you able to car share with one of your colleagues? Would public transport or even walking provide a more cost-effective and less stressful alternative to the car? Plan ahead and save money. Research by Continental suggests that tyres contribute up to 20% of a car’s total fuel consumption, so it pays to take care of your rubber. Reduce rolling resistance by 10% and you can expect a 1.6% drop in fuel consumption – the equivalent of 2g/km CO2. You’ll find the recommended tyre pressures somewhere on the car, most likely on the inside of the driver’s door or fuel filler cap, but if in doubt, consult your vehicle’s handbook or your local dealer. Correctly inflated tyres will last longer, be safer on the road and will improve your fuel economy. Also remember to replace worn out tyres – EU tyre labelling makes it easier for you to find the most efficient tyres for your car. Turning off the air conditioning will improve your fuel economy, but opening the windows on the motorway could be a false economy. As a guide, keep the windows shut at speeds in excess of 60mph. In general, air conditioning will have the greatest impact on economy at lower speeds, especially during city driving. Remember, air conditioning can also help to de-mist a car, so using it is preferable to leaving the car idling while you wait for the windows to clear. If your car features a shift-up/shift-down indicator, use it, as this will ensure your engine is running at optimum efficiency. Over-revving will waste fuel and increase engine wear. The Department for Transport recommends changing up a gear before the rev counter reaches 2,000rpm in a diesel car and 2,500rpm in a petrol. Read the road ahead to ensure you’re not in too high a gear for hills and roundabouts. The more your car has to carry the harder it has to work, which in turns leads to reduced fuel efficiency. While we wouldn’t endorse leaving your mother-in-law at the bus stop, we would recommend leaving the golf clubs at home. 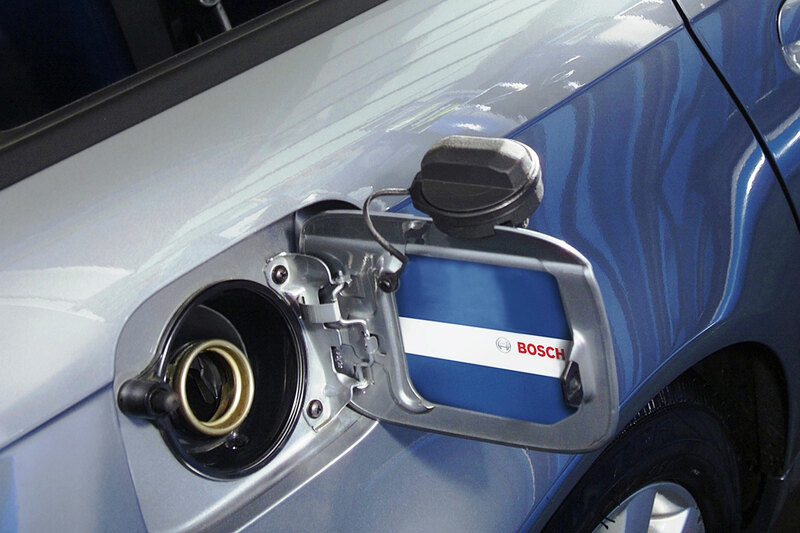 The RAC claims that, on average, every 50kg you carry will increase your fuel consumption by 2%. It’s based on the percentage of extra weight relative to the vehicle’s weight, so the smaller the vehicle, the greater the effect. By accelerating and decelerating in a smooth and relaxed manner, you could expect to save around 20% in fuel. Figures suggest that non-aggressive driving and anticipating the road ahead could see this rise to as much as 30%. Indeed, braking will put a dent in your hyper-miling achievements, while the simple act of accelerating will reduce it even further. Avoid leaving braking for junctions and roundabouts until the last minute. Anything that reduces your car’s aerodynamic properties will have a negative impact on your fuel consumption. 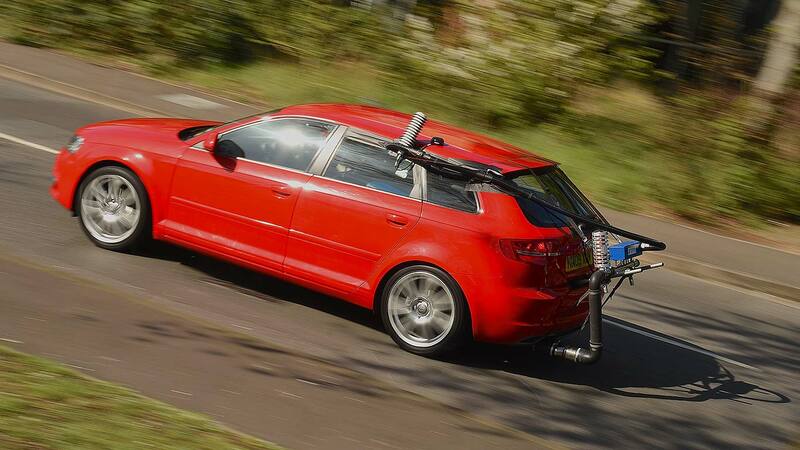 Figures from the RAC suggest that even an empty roof rack can increase fuel consumption by 10%. Add the additional weight of a fully-loaded roof rack and the net result could seriously hamper your chances of saving money. If it’s not being used – remove it. And that includes the roof bars. Suzuki has become the latest Japanese car maker to be raided by officials investigating apparent falsification of fuel economy tests. 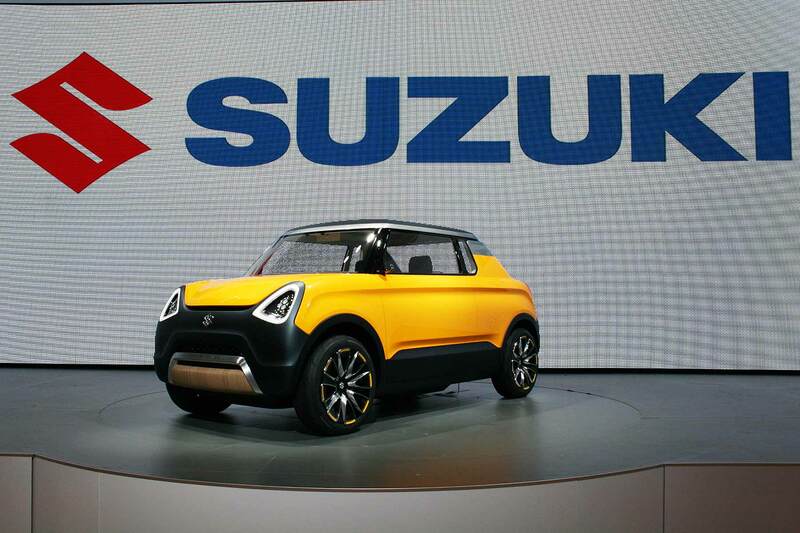 The Friday raid, reports Reuters, was seeking evidence that Suzuki produced fuel economy figures from indoor tests on individual car parts, rather than the full vehicle costing tests they were meant to conduct. Suzuki has admitted it carried out fuel economy tests ‘using an improper method’: back in May, it originally said 16 Japanese domestic market cars were affected, later upping this to 26 cars. More than 2.1 million JDM models are involved – and some of them are cars Suzuki makes for other car makers. The brand, an expert in small and fuel-efficient models, blames a lack of resources following the 2008 global financial crisis, something reinforced by added pressure to roll out ever-more fuel-efficient cars. There was no intention to misrepresent and inflate fuel economy figures, it insists. The Friday raid on its headquarters is part of the Japanese transport authority’s investigation into whether this is true. Earlier in May, Mitsubishi was rocked by its own fuel economy testing scandal, where it subsequently emerged the firm has been misrepresenting mpg for the past quarter-century. 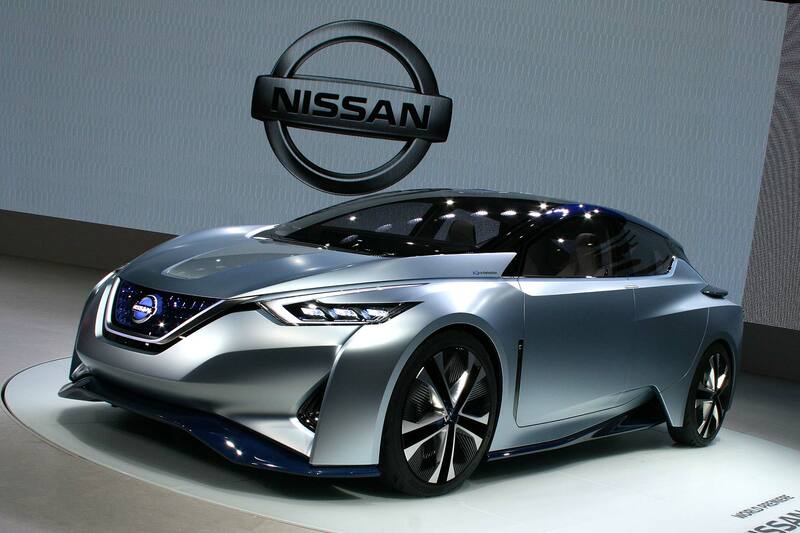 A plunge in its market value subsequently saw Nissan pounce and take it over. As is likely with Suzuki though, Mitsubishi’s British importer has confirmed no UK cars are affected and official mpg figures are correct. Mitsubishi Motors UK has written to all of its British owners to confirm they are not affected by the 25-year fuel economy test rigging scandal that has engulfed its Japanese operations. The letter follows an earlier statement mailed to owners warning them that there was a fuel consumption issue with Japanese-market cars – but that there was no evidence UK cars were affected. “I’m now pleased to be able to confirm for certain, following a detailed independent investigation, that no vehicles produced for UK and Europe are affected,” said Mitsubishi UK MD Lance Bradley. 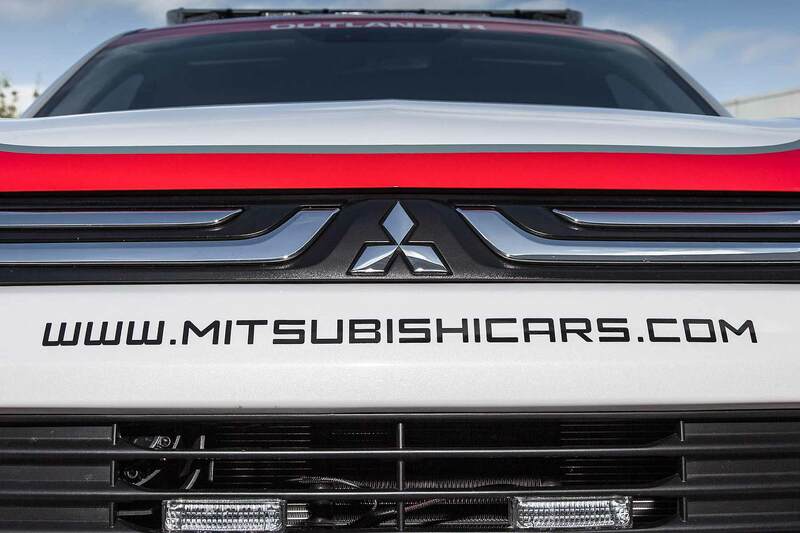 Mitsubishi HQ has now confirmed cars sold in the UK and Europe are unaffected by the Japanese-market wrongdoings. Bradley also echoed criticism from motoring experts that mainstream news outlets are confusing the Mitsubishi fuel economy rigging scandal with the Volkswagen emissions cheating scandal. “This is not the same as the ‘emissions’ issue that has been revealed at Volkswagen. Nissan has confirmed it is in “advanced talks” with Mitsubishi to buy a stake in the firm, with sources suggesting Nissan is looking to buy a controlling stake in the crisis-hit car maker. UPDATE: Nissan has now confirmed it is buying a 34% stake in Mitsubishi Motors for $2.2 billion (£1.5 billion). Nissan chief Carlos Ghosn vowed in a press conference to help restore trust in Mitsubishi. Nissan is significantly larger that Mitsubishi, which admitted in April it has been overstating fuel economy through rigging official fuel economy tests. Mitsubishi’s stock has plummeted by more than 40% since news of the fuel economy test scandal broke, wiping £2 billion off its value. Ironically it was Nissan that discovered Mitsubishi was overstating fuel economy, when it assessed joint venture minicars built by Mitsubishi for the two companies. Mitsubishi has since discovered it’s been overstating Japanese market fuel economy for 25 years. “Nissan and Mitsubishi are discussing various matters including capital co-operation, but nothing has been decided,” said the two companies in earlier statements. Mitsubishi has admitted cheating fuel economy tests dating back to 1991 and the Japanese car company has now set up an independent investigation committee to establish just what’s been going on. Since the news broke that 625,000 Kei cars had been given falsified fuel economy figures, Mitsubishi has lost around half the market value. It seems more bad news is likely to emerge in coming days too as attention focuses on the sixth-largest Japanese car company’s fuel economy test procedures. Here’s what we know so far about the Mitsubishi fuel economy test cheat crisis. Mitsubishi has overstated fuel economy figures of four cars sold on the Japanese market: the Mitsubishi eK Wagon and eK Space, and the Nissan Dayz and Dayz Roox. Not only has testing not been conducted correctly, it was also done in a way different to that required by Japanese law – something that has infuriated Japanese ministers who have said such manipulation is “extremely serious”. How did Mitsubishi cheat the test? It seems misconduct centred around the running resistance value test cars were subjected to. This rolling road resistance mimics two things – the rolling resistance, largely from the tyres, and the effect of air resistance when vehicles are moving: cars are tested stationary in labs where there’s no wind resistance, so it has to artificially be applied. An analyst put it more bluntly: Mitsubishi appears to have over-inflated the tyres to cut rolling resistance and thus artificially inflate fuel economy. What effect would this have had on official figures? Experts say this practice may have artificially inflated Mitsubishi fuel economy figures by around 5-10%. 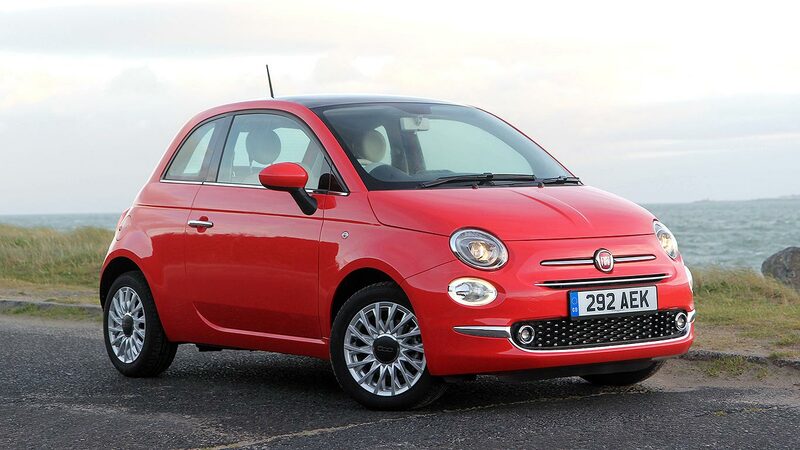 Are the cars with dodgy fuel economy figures still on sale? No – when news of the scandal broke, Mitsubishi immediately stopped production and sales of the eK models. Nissan has also stopped selling the Dayz models (and is now in discussions with Mitsubishi over compensation). Who discovered the fuel economy test cheat? Ironically, it was Nissan that discovered the fuel economy test misconduct, during initial development for the successor to these cars. It took evidence of the deviations to Mitsubishi, which discovered things were amiss. Is anything else amiss with Mitsubishi’s fuel economy test procedures? Separate to this misconduct, further revelations about how Mitsubishi carries out fuel economy testing in Japan have emerged. Japanese fuel economy test regulations are configured differently to tests in other parts of the world to better reflect the stop-start city-style driving commonplace in Japanese driving. Remarkably, when they changed, Mitsubishi admits it did not follow this rule change. So how long has Mitsubishi been doing this? Alarmingly then, Mitsubishi has admitted it’s been testing fuel economy this way for a quarter of a century. “For the domestic market, we have been using that method since 1991,” said Mitsubishi vice-president Ryugo Nakao at a press conference. The regulations changed: Mitsubishi testing did not change to reflect it. Does it involve emissions cheating like the Volkswagen scandal? This is an issue related to fuel economy test figures, not emissions. While any official emissions figures may well be different once fuel economy is restated, this will be an incremental addition – unlike Volkswagen, Mitsubishi has not been employing ‘cheat’ devices that alter the engine to get back emissions regulations. Thus far, the Mitsubishi scandal is also related to petrol cars, not diesels – and petrol cars generally meet emissions regulations with ease. So if Japanese cars are affected, do UK Mitsubishis have dodgy fuel economy figures? Mitsubishi says this issue is restricted to the Japanese market: there is no evidence cars sold in Europe and the U.S. are affected. European cars are tested according to the NEDC fuel economy test cycle, which itself is largely agreed to be outdated – but it is an independent test that all cars sold in Europe must pass. Manufacturers cannot overstate fuel economy: when they do, as Volkswagen discovered last year, clarifications must be issued when it is discovered. What is Mitsubishi doing about it? Mitsubishi, after expressing “its most sincere apologies to all of our customers, shareholders, and stakeholders,” has set up a special investigation committee that’s fully independent from the company itself. It will have three members – all attorneys of law – who will fully investigate the matter, see if there’s any other improper conduct at play within Mitsubishi, and then reveal both the cause and suggested remedial action to prevent it happening again. They’ll report back in three months’ time. Mitsubishi fuel economy test procedures have not been compliant with Japanese regulations since 1991, an unnamed source has revealed. Reuters says the leaked news was first reported to Japanese business title Nikkei: Mitsubishi is to hold a press conference briefing on the matter later today. It is said the firm compiled its fuel economy data using U.S. standards, which involves more high-speed driving, rather than Japanese standards which demand more stop-start inner-city driving. Japanese standards generally deliver worse economy figures than U.S. standards. 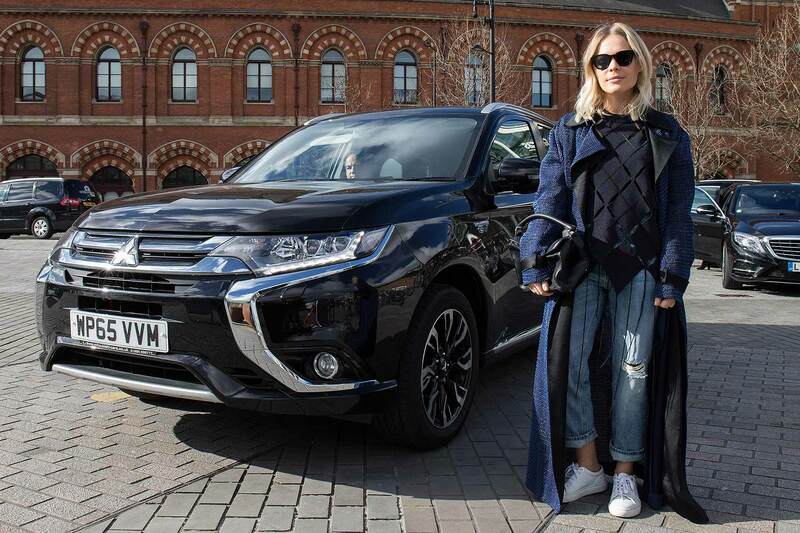 The latest Mitsubishi revelation follows last week’s admission that it overstated the fuel economy of four city cars, sold under both the Mitsubishi and Nissan brands. Since then, the firm – Japan’s sixth-largest vehicle manufacturer – has lost half its market value. Manipulation of fuel-efficiency tests is “extremely serious,” Japanese transport minister Keiichi Ishii told reporters yesterday after a cabinet meeting, reports Bloomberg. European car manufacturers have responded to recent tests by the British and German transport authorities by saying they know the test cycle is outdated – and for them, the new, more real-world test can’t come soon enough. Representing Europe’s 15 vehicle makers, The European Automobile Manufacturers’ Association said it’s actually “been advocating for many years an updated laboratory test… as well as an additional new test to measure pollutant emissions on the road”, according to ACEA secretary general Erik Jonnaert. Both are coming. A new, more representative fuel economy test called WLTP – World Harmonized Light Test Cycle and Procedures – is due to take force next year, replacing the current outdated NEDC test. The second real-world test, called Real Driving Emissions (RDE), is due to arrive then too, although the European Commission is taking a step-by-step approach in approving it – and two key packages to help car makers start preparing for RDE are still missing and “urgently needed to complete the legislation”. As it stands, the EC aims to present the third package in October 2016 and the fourth, final package by early 2017. Car makers, it seems, want confirmation to come sooner: the legislation is due to go live for all newly-launched cars by September 2017, and all vehicles on sale by 2019. A few campaign groups have already speculated that delays in gaining approval could see the WLTP and RDE tests delayed. 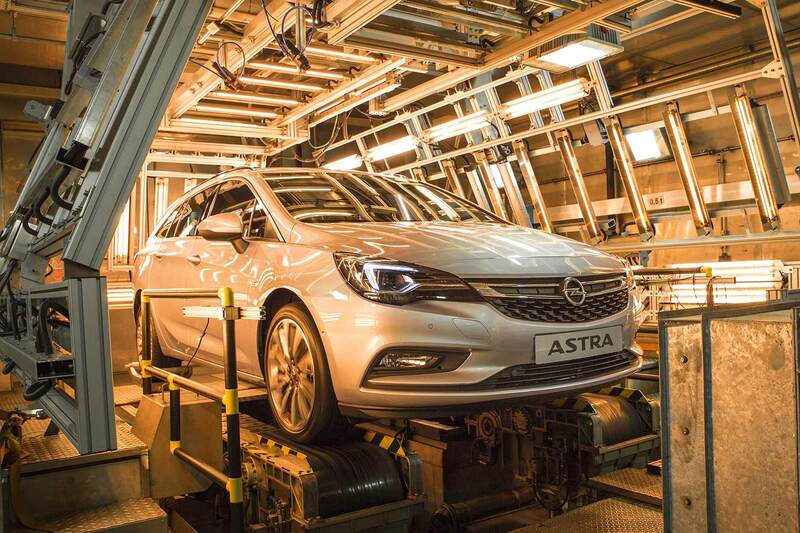 When they go live, car makers will have to minimise the discrepancy between WLTP lab test figures and RDE real-world figures to a maximum of 110%, which will fall to a maximum of 50% by January 2020. Currently, the discrepancy can be as much as 400%. “These results show again that we now need to move forward with the new testing conditions in order to bridge the gap with the lab test,” said Jonnaert. 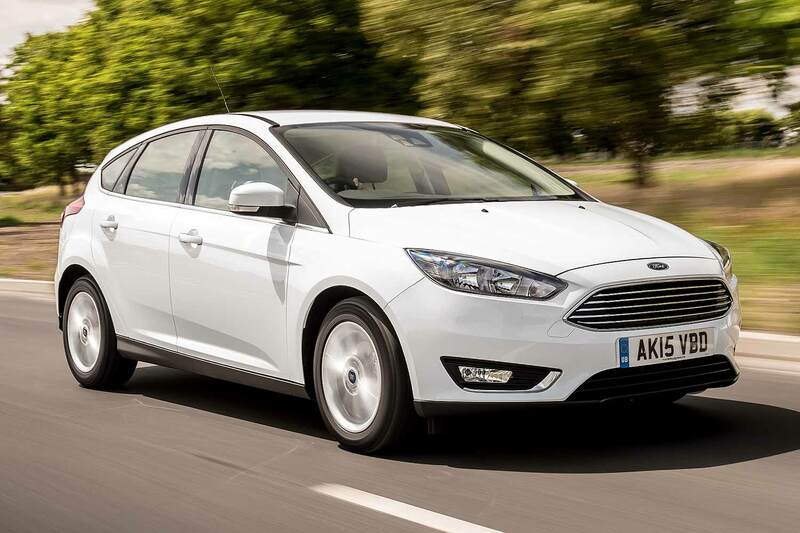 The most economical cars of 2016 continue to get ever-more fuel-efficient. Recent introductions have broken new ground for fuel economy and mpg with more models now returning more than 90mpg. A by-product of good fuel economy is low CO2 emissions, which helps reduce greenhouse gas emissions: the latest Euro 6 models also have low NOx emissions to cut inner-city pollution. 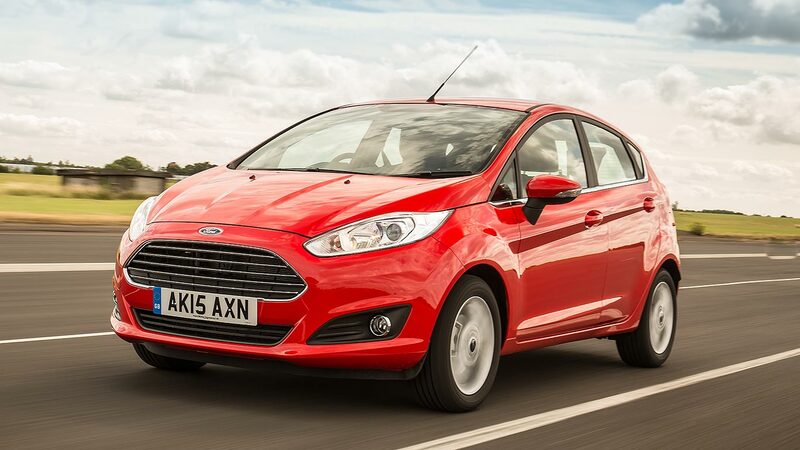 But which are the most economical cars on sale in the UK? Here’s the full rundown of the greenest cars you can buy – and every single one of them emits less than 100g/km CO2. FYI: We’ve taken figures from the official European NEDC test, and we’ve included regular petrol, diesel and hybrid cars, but not plug-in hybrids as these models will only give maximum economy if the batteries are fully charged. 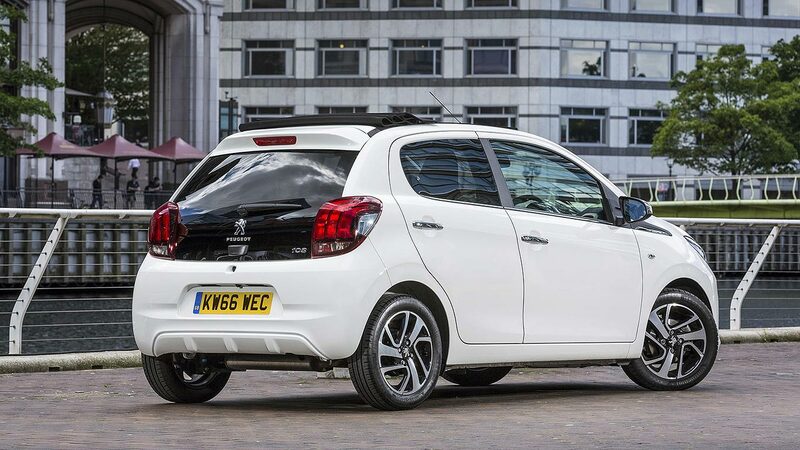 Two models share the honour of being the UK’s most fuel-efficient car on sale. First up is the diesel-powered Peugeot 208 which, in latest facelifted 1.6 BlueHDi 75 S&S guise, averages a heady 94.2mpg, combined with sub-80g/km CO2 emissions. 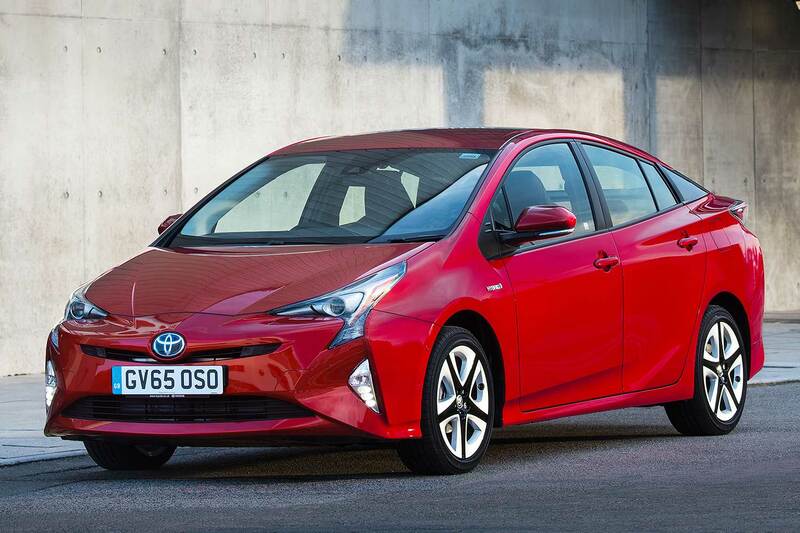 If diesel power isn’t for you, the new Toyota Prius also averages 94.2mpg courtesy of its petrol-electric drivetrain – with the added benefit of zero-emissions EV running at slow speed. 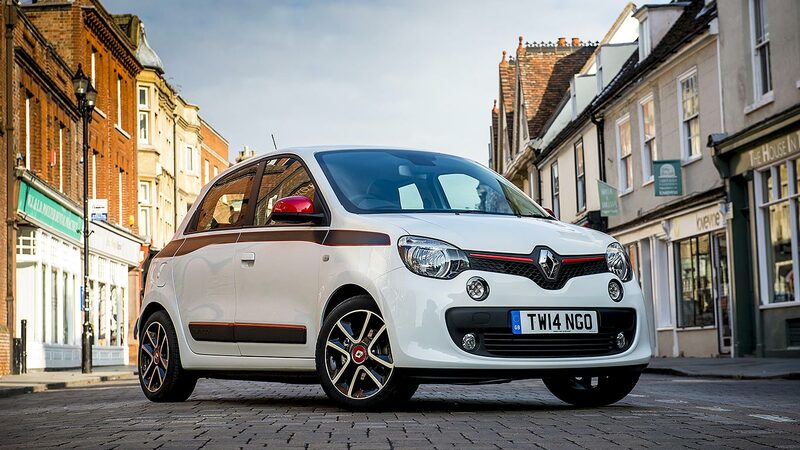 It’s roomier than the Peugeot too – and has ultra-low CO2 of just 70g/km. 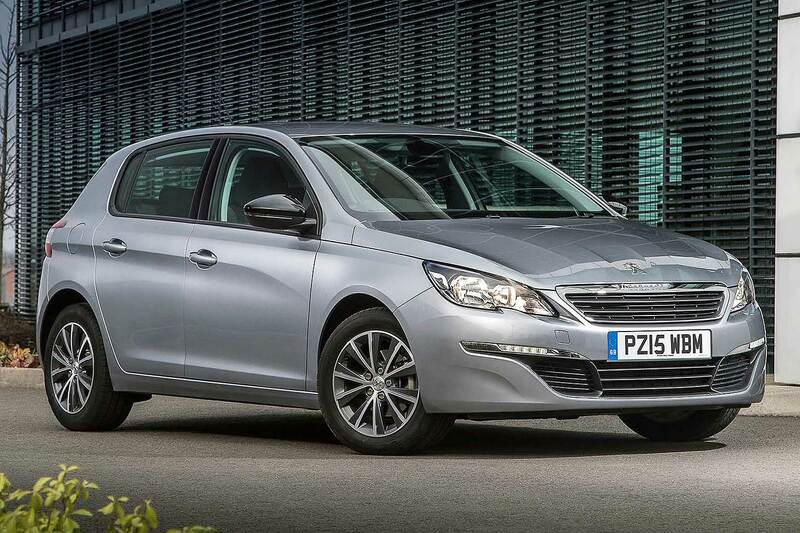 If you really want a Peugeot but really need more space, the larger 308 is very economical too: the 1.6 BlueHDi 120 S&S version averages 91.1mpg, making it three cars on sale in the UK to officially average more than 90mpg. 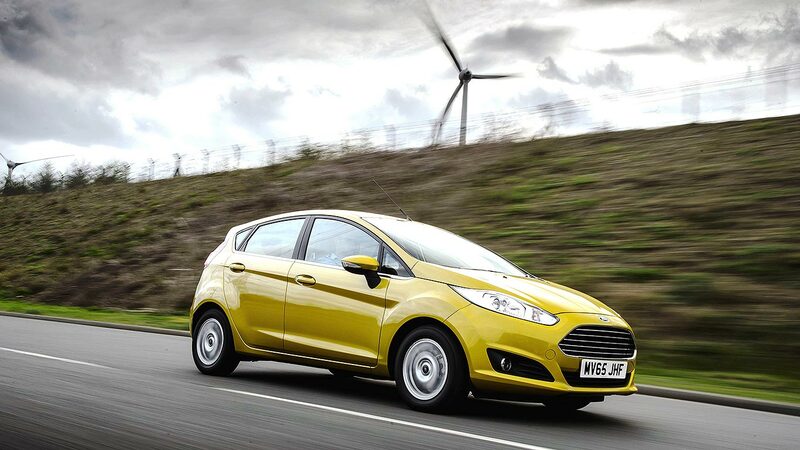 The Ford Fiesta is Britain’s best-selling car and it offers an ultra-economical Econetic version of the 1.5 TDCi diesel that averages a heady 88.3mpg. 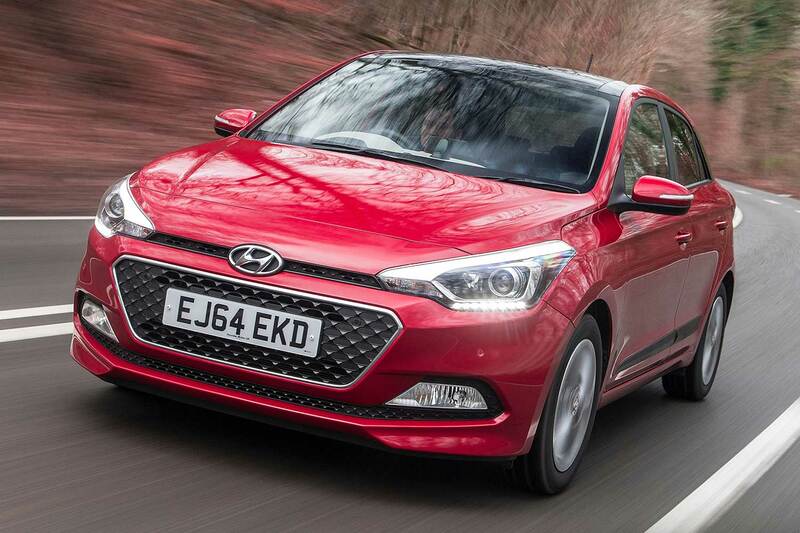 The latest Hyundai i20 is a well-regarded supermini and the roomy five-door averages 88.3mpg in three-cylinder 1.1 CRDi 75 Blue diesel guise. Renault can’t quite match French rival Peugeot for claimed fuel economy but the 1.5 dCi 90 ECO version of the Clio is still impressive at 88.3mpg. 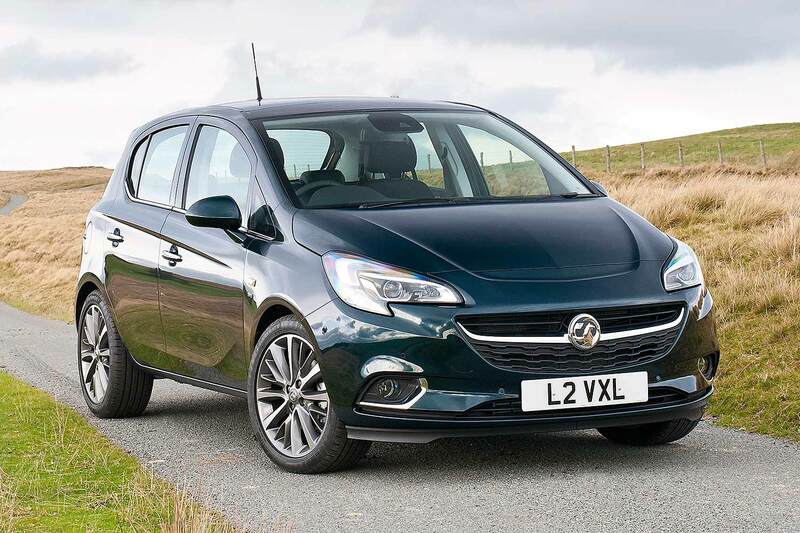 Vauxhall’s long-running 1.3 CDTi diesel engine remains very fuel efficient with the stop-start-equipped 95hp Ecoflex version capable of 88.3mpg. 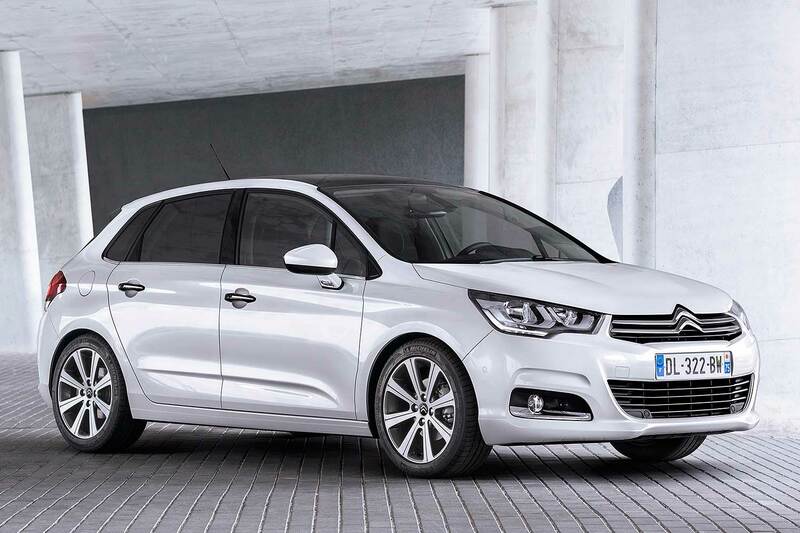 The Citroen C4 is a forgotten family five-door hatchback but that hasn’t stopped the firm making fuel efficient stars: the 1.6 BlueHDi version averages over 85mpg. 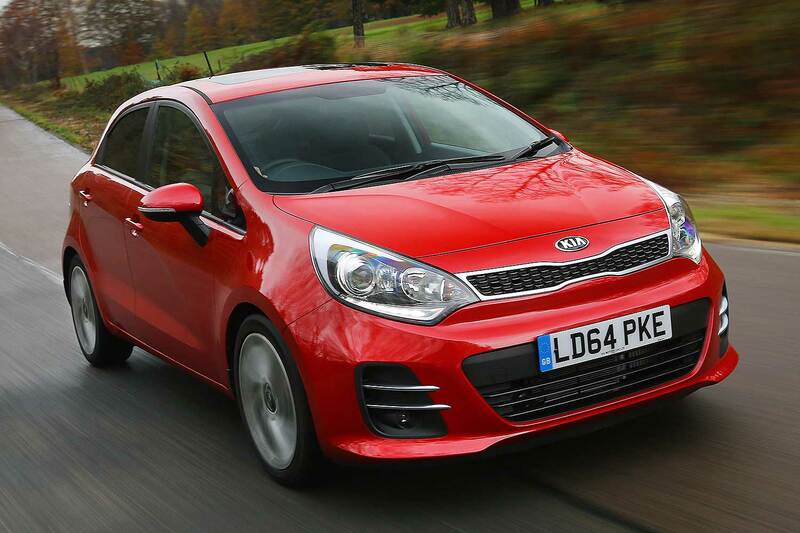 Kia can’t quite match brand partner Hyundai’s heady fuel economy with its 1.1-litre CRDi 75 Rio, but it’s still good at 85.6mpg. 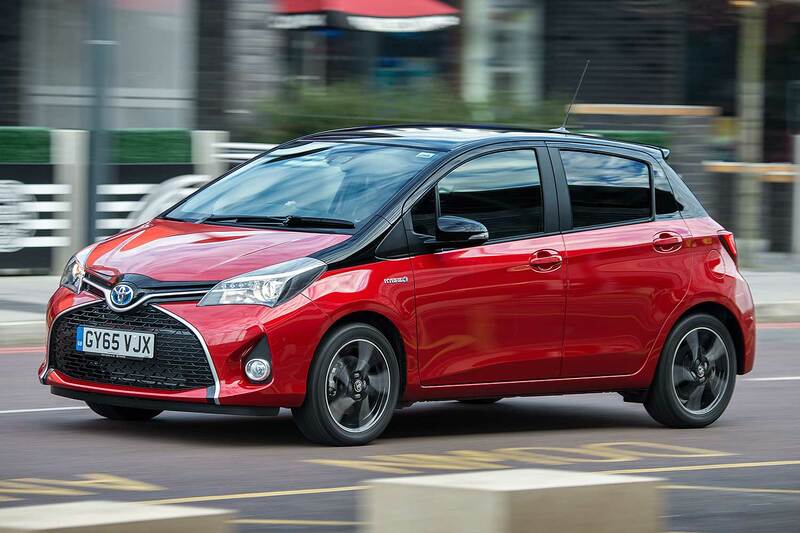 If you want a fuel efficient supermini but really don’t want diesel, take the Toyota Yaris Hybrid: its 1.5-litre petrol-electric drivetrain returns a claimed 85.6mpg. 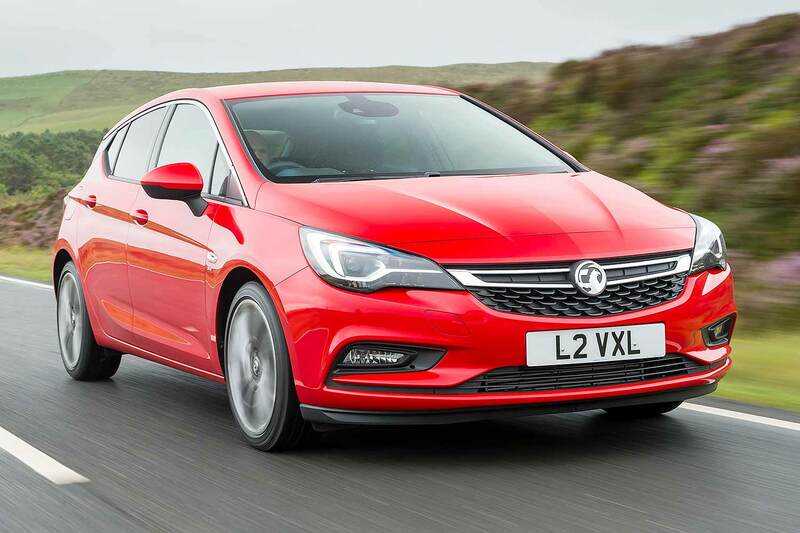 The new Vauxhall Astra is the 2016 European Car of the Year – and it’s a fuel-efficient car too, with a 1.6-litre CDTi 110 S/S Ecoflex version returning 85.6mpg. 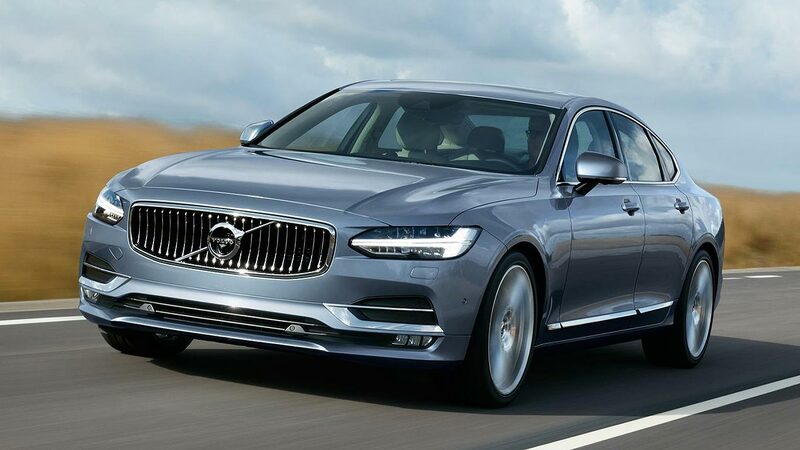 Volvo’s new 2.0-litre four-cylinder diesel engine is fuel efficient in all applications. 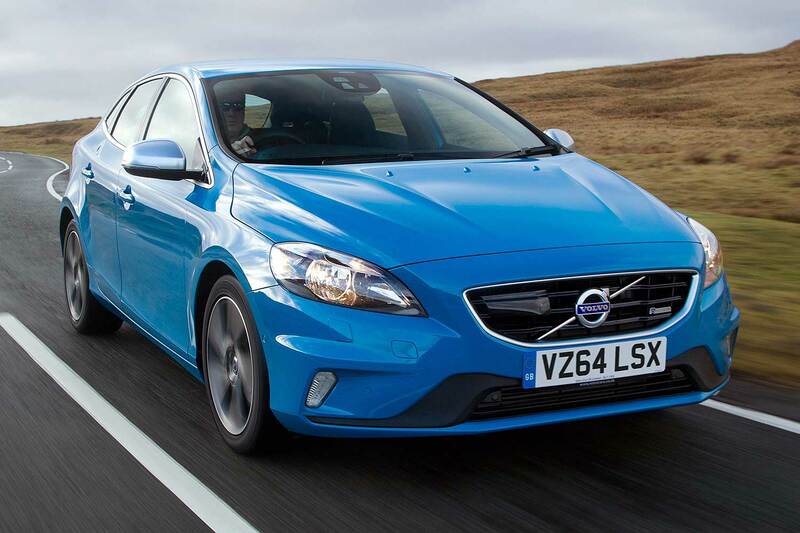 The very greenest is the 120hp version in the V40, which averages 84.1mpg. 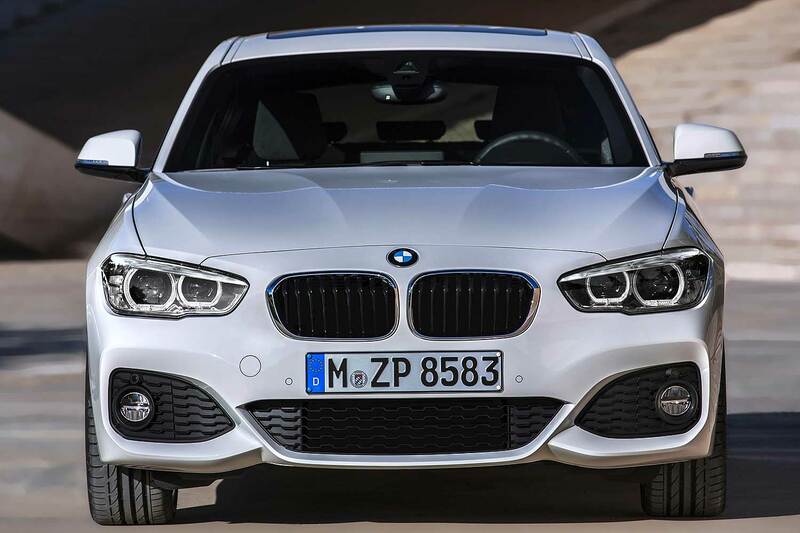 The pace of BMW’s EfficientDynamics models may have slipped down the rankings a little but the rear-wheel drive 116d ED Plus still impresses with 83.1mpg. 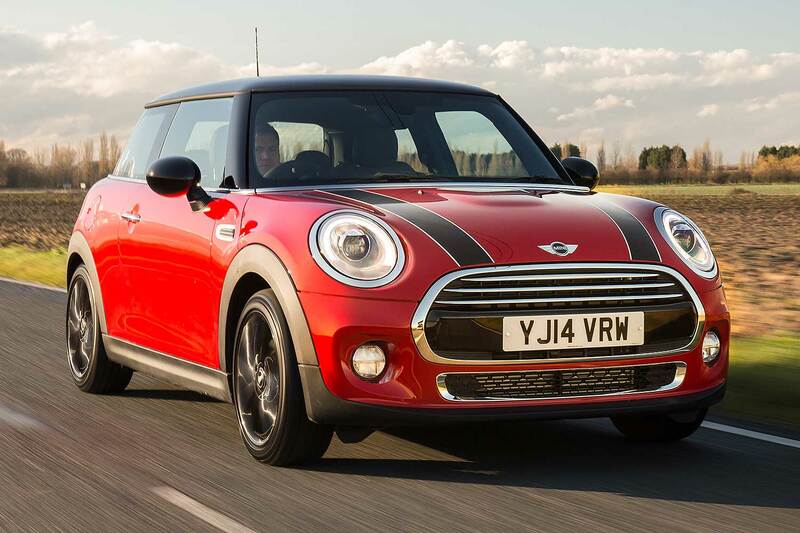 Posh MINI rival DS offers an ultra-economical version of the DS 3 which, in 1.6 BlueHDi 100 S&S form, averages 83.1mpg. 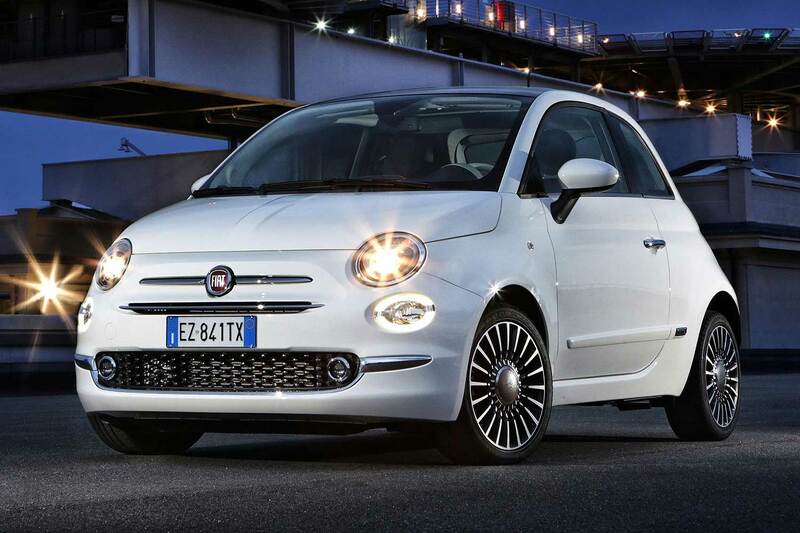 Fiat’s stylish 500 is a regular UK best-seller. 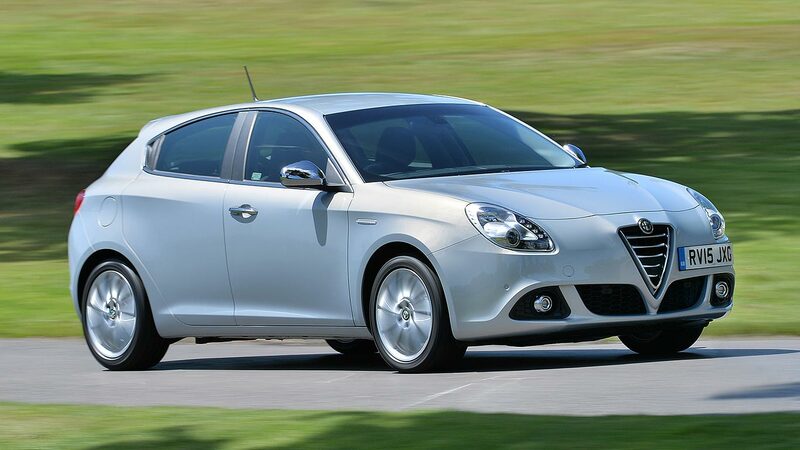 For those seeking ultimate fuel economy, the 1.3-litre MultiJet 95 version will average 83.1mpg. Another UK best-seller that averages 83.1mpg, the 1.5-litre TDCi 105 Econetic Focus offers great fuel economy to the masses. 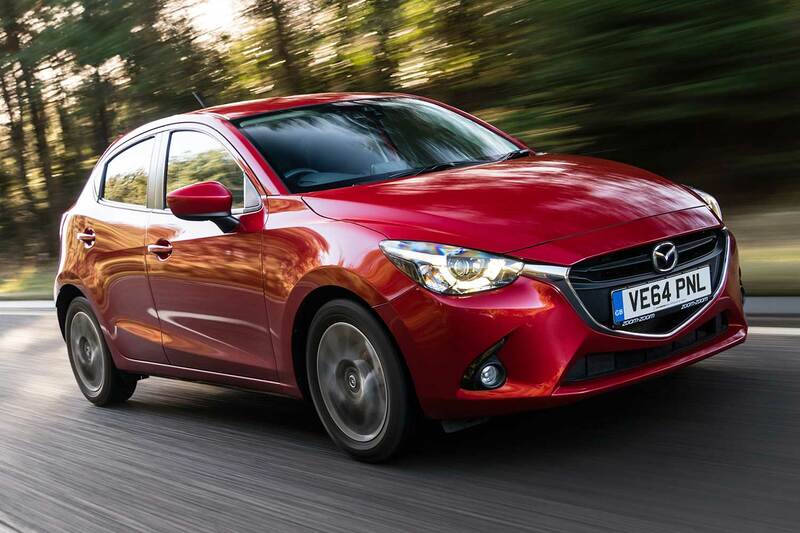 Can you resist the temptation to seek fuel economy in the fun-to-drive Mazda2 1.5 Skyactiv-D? 83.1mpg will be your reward if so. 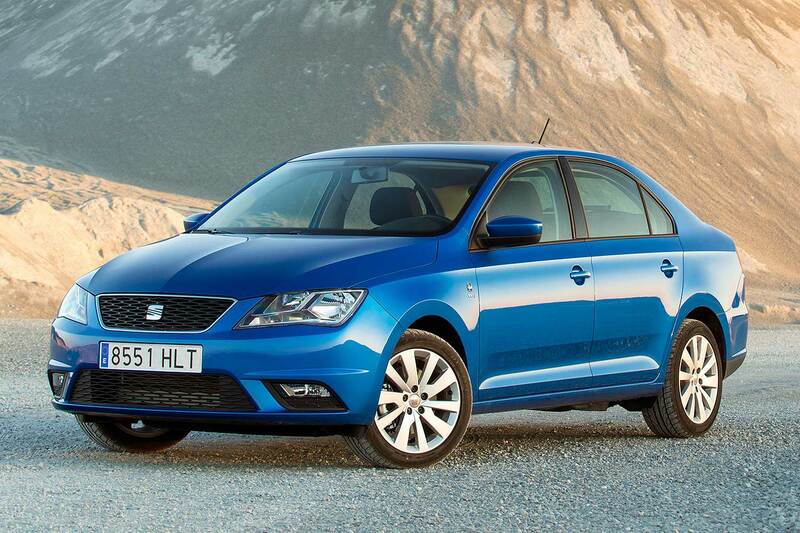 SEAT’s understated Toledo is a very roomy budget-priced car. For ultimate money-saving ability, choose the Ecomotive version and 83.1mpg will be your reward. 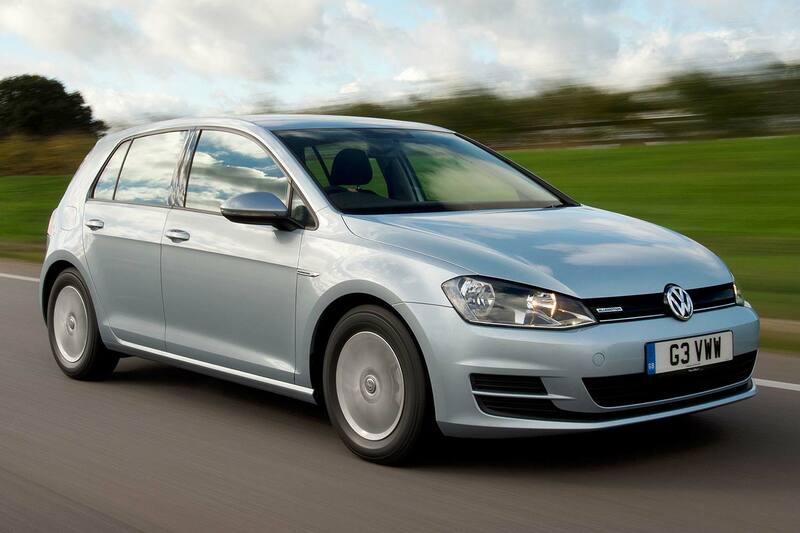 The final car to average 83.1mpg is the Volkswagen Golf in economy-optimised 1.6-litre TDI Bluemotion guise. Forget dieselgate, this is a very fuel-efficient car in real-world use, full stop.